Nigeria’s decision to adopt coal as alternative source of generating electricity has attracted several reactions among industry players over the long term health and environmental effects on host communities. 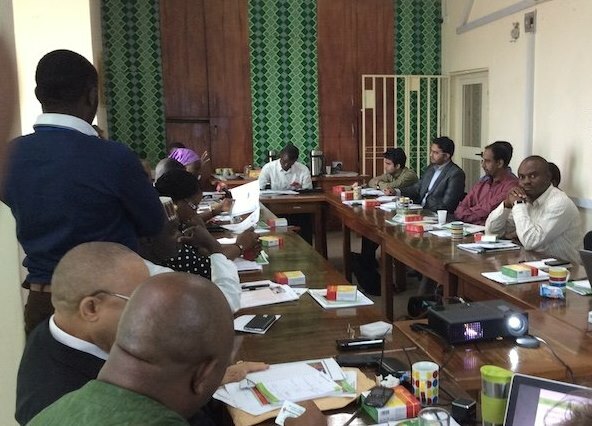 The stakeholders who gathered on Tuesday in Abuja, Nigeria’s capital, to brainstorm the preferred energy mix for the country raised worrisome questions, particularly around the cost implications of establishing new coal plants as well as long term strategy of sustaining such ambitious initiative. Other issues raised during the meeting include time frame, amount of energy generation and the global call for countries to cut down carbon emissions and end use of dirty energy to tackle the impacts of climate change on livelihoods and safeguard the ecosystem. Country Director of Global Rights Nigeria, Abiodun Baiyewu, said the idea clearly revealed that the government has failed to do a holistic reviewing of alternative energy sources. “I think we have been lazy in our thinking and consulting; we have taken the easier road rather than explore other options,” Baiyewu said. She lamented that Nigeria was moving backward rather than forward in terms of mitigating climate change and ensuring environmental protection. This, according to her is due to the lip service paid to various international agreements to cut down carbon emissions. The energetic rights campaigner proposed that any alternative energy source conceptualised must be in harmony with the host communities and their immediate environment. Speaking also on the matter, Country Director, Heinrich Boll Stiftung Nigeria, Christine K, reiterated the need for a comprehensive plan that highlights Nigeria’s energy challenges and solutions to ensure sustainability in socio-economic growth. She said the option of coal as an energy option is due to the shortage of electricity supply in the country which undermines other key aspects such as human health and environmental protection. “Nigeria needs to move forward, there is no electricity in the country,” K said. The highly celebrated 4, 000MW if available, according to her is inadequate. Recently, leaders of G7 countries were enjoined to show leadership by pledging to end all coal burning for electricity generation in the industrialised world. According to “Let Them Eat Coal”, a report by the international relief charity, Oxfam, exiting coal can be achieved without financial difficulty just as its continuation will kill millions because of the food shortages that climate change will cause. “Each coal power station can be seen as a weapon of climate destruction – fueling ruinous weather patterns, devastating harvests, driving food price rises and ultimately leaving more people facing hunger. With these climate impacts falling disproportionately on the most vulnerable and least food-secure people, the burning of coal is further exacerbating inequality,” the reports states. It points out that G7 coal plants emit twice as much fossil fuel carbon dioxide emissions as the whole of Africa, and that “rich industrialised countries must stop hiding behind countries like China and take the lead in kicking their own coal habit”. Coal provides 41% of the world’s electrical power but 72% of power-sector emissions. The report details how it is now cheaper to invest in and produce electricity with renewables than in coal plants in G7 countries. The report also details how many ageing coal plants each G7 country still operates, and how the wealthiest countries of the world can switch to alternatives, while creating jobs and without losing money. The report warns: “Coal power plants are the biggest obstacle standing between us and the internationally-agreed target to limit warming to 2 degrees [Centigrade]. More than ever before, the future of coal has come under scrutiny from many sources. A recent and perhaps most unlikely source was the head of the organisation representing wealthy nations that relied on coal for 32% of electricity generation last year.